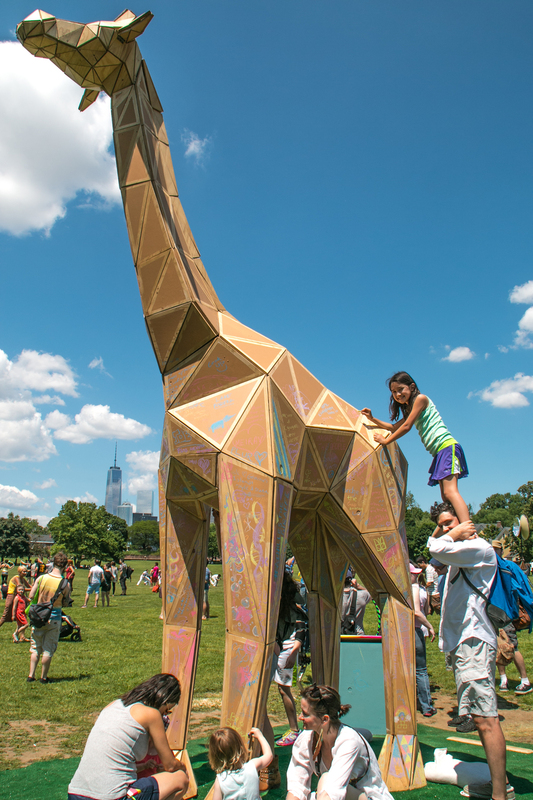 Achilles is a sculptural piece made out of 445 unique triangles cut precisely out of plywood. 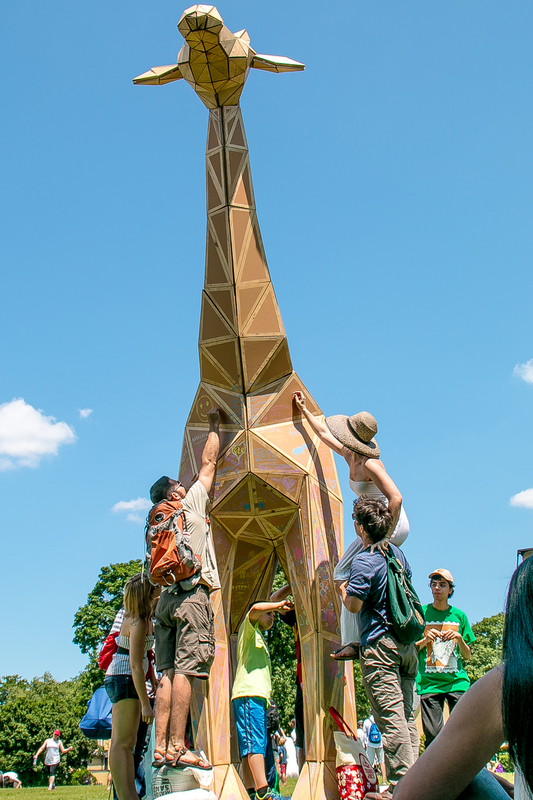 The triangles are assembled with steel brackets into a life size giraffe. 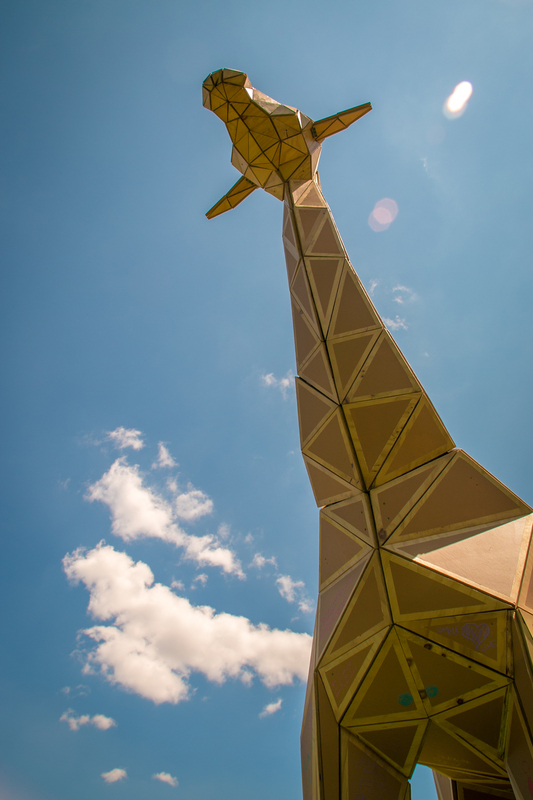 The giraffe is a symbol of intuition and farsightedness. Spots on its coat are painted with chalkboard paint. 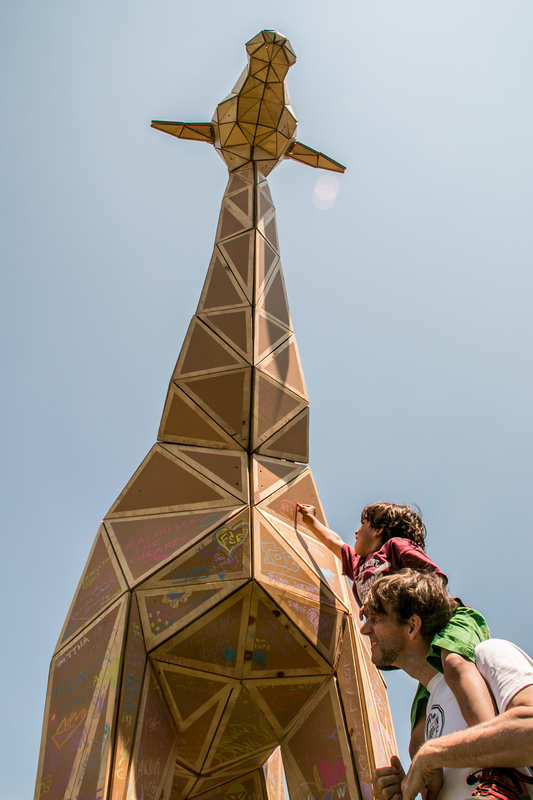 You are invited to use the chalk provided to draw your vision of your future with chalk on the giraffe’s coat, and read others’ predictions and dreams for the future.